May 1943. The Battle of Attu—called “The Forgotten Battle” by World War II veterans—was raging on the Aleutian island with an Arctic cold, impenetrable fog, and rocketing winds that combined to create some of the worst weather on Earth. Both American and Japanese forces were tirelessly fighting in a yearlong campaign, and both sides would suffer thousands of casualties. 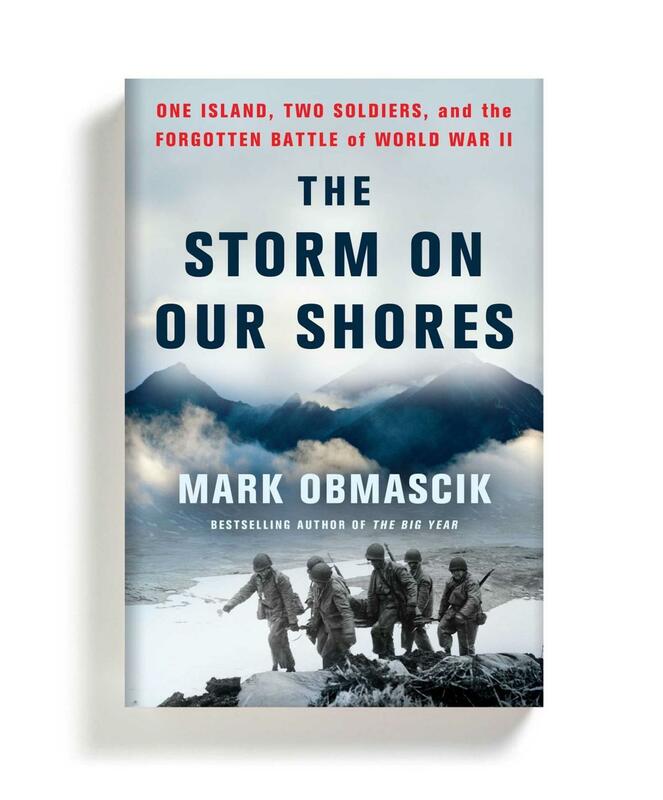 Mark Obmascik’s new book “The Storm on Our Shores,” tells the heart-wrenching but ultimately redemptive story of two soldiers—a Japanese surgeon and an American sergeant—during that brutal battle in Alaska, in which the sergeant discovers the medic's revelatory and fascinating diary, which in turn changes our war-torn society’s perceptions of Japan. Mark Obmascik is a Pulitzer Prize–winning journalist and bestselling author of “The Big Year,” which was made into a movie, and “Halfway to Heaven.” He won the 2009 National Outdoor Book Award for outdoor literature, the 2003 National Press Club Award for environmental journalism, and was the lead writer for the Denver Post team that won the 2000 Pulitzer Prize. He lives in Denver with his wife and their three sons. Mark Obmascik on Access Utah. This program is part of the “Democracy and the Informed Citizen” Initiative administered by the Federation of State Humanities Councils in partnership with the Pulitzer Prizes Board for a collaboration between UPR, Utah Humanities, The Salt Lake Tribune, and The Salt Lake City Library. The initiative seeks to deepen the public’s knowledge and appreciation of the vital connections between democracy, the humanities, journalism, and an informed citizenry. The “Democracy and the Informed Citizen” Initiative is supported by The Andrew W. Mellon Foundation. “In 1893, a deputy sheriff knocked on Matilda Joslyn Gage’s door in Fayetteville, New York. He had come to arrest her. ‘All of the crimes which I was not guilty of rushed through my mind,’ she wrote later, ‘but I failed to remember that I was a born criminal—a woman.’ Her crime: registering to vote. The verdict: guilty as charged.